Tri-Phase was awarded two contracts for the recycling of asbestos-containing AILC cables as well as concrete poles. Key thing we managed to secure approval from regulatory agencies to process asbestos cables so we then go to hydro sites and pick up cables, transport under our permit to our yard and under Type 3 enclosure we separate asbestos from metals (lead, copper), metals are decontaminated then recycled and asbestos is disposed of. 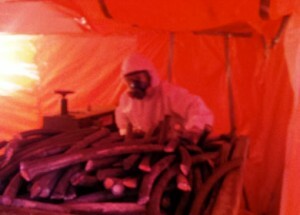 Past practice was that cable and all were sent to the landfill as asbestos waste, while with this method 95% of the waste (metals) are recovered and reclaimed. 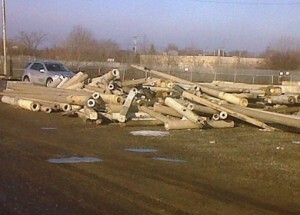 Concrete poles—regular concrete recycling plants don’t accept this because of heavy content of rebar (steel). Tri-Phase collects these concrete poles, brings them to our yard to crush and separate rebar from concrete in turn recycling 100% of the steel and concrete (granular A or B). Steel is sent to smelter for recycling. 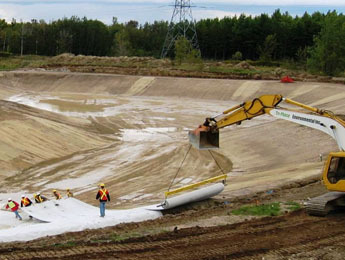 A Ministry of Environment Permit is also required for the concrete crushing process.